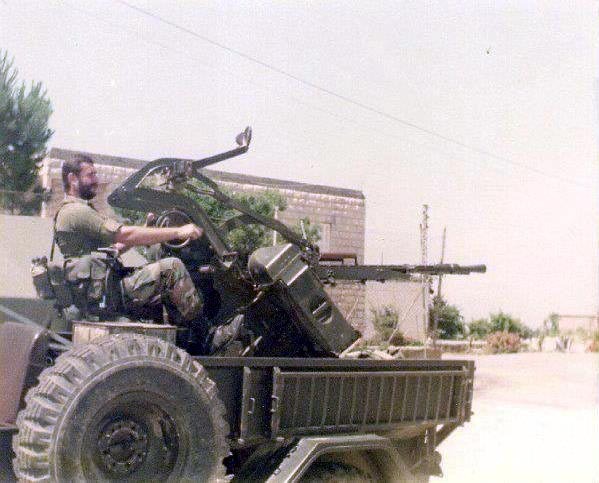 A Keohwa M-5GA1 w/m40 recoilless rifle of the Lebanese Forces armed militia. 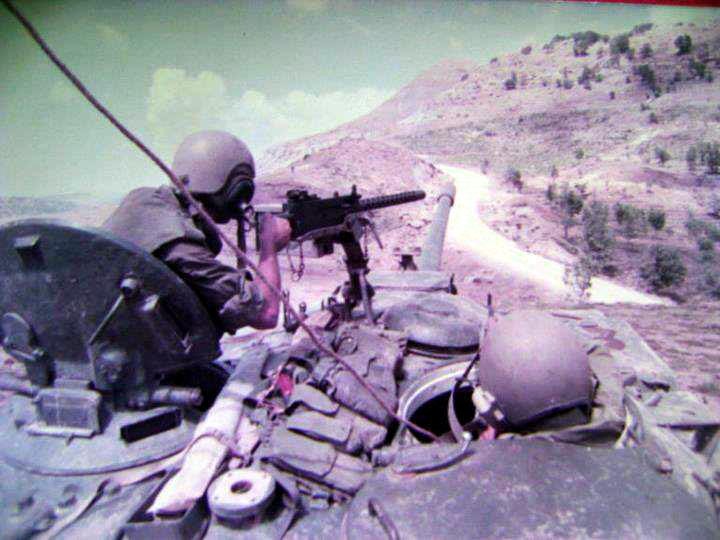 An M606A2 w/m40 recoilless rifle of the Lebanese Forces armed militia. 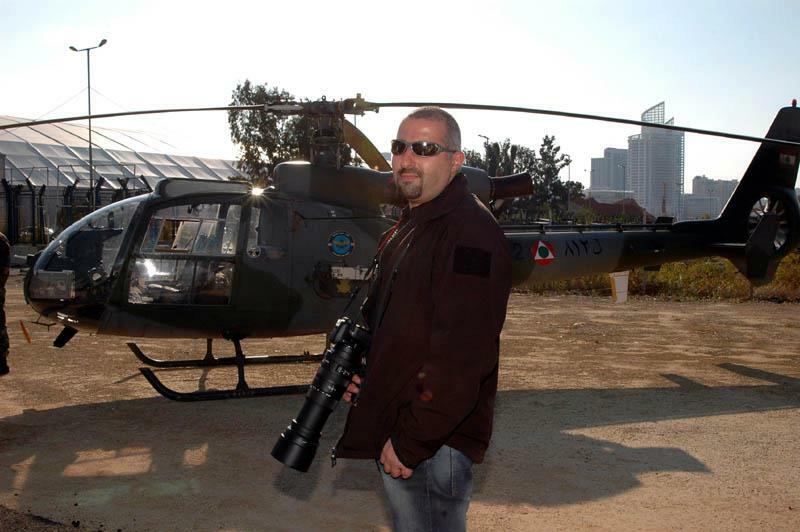 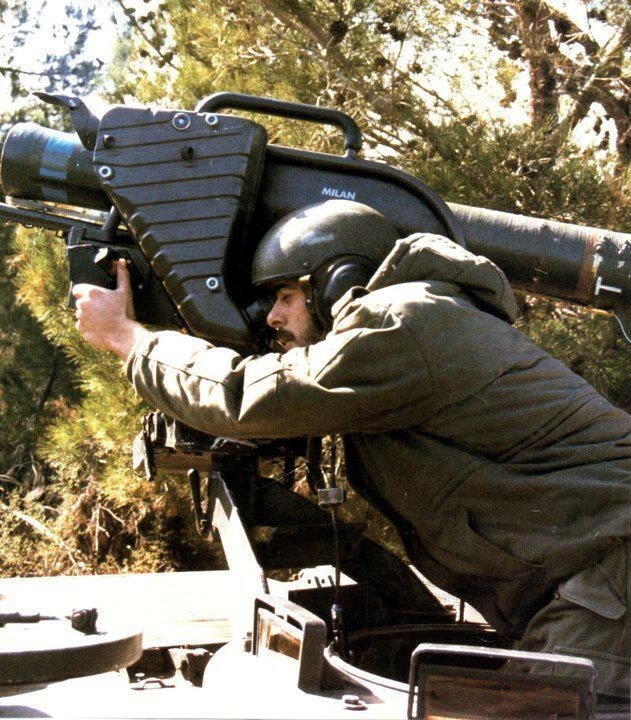 A Keohwa M-5GA1 w/MILAN ATGM of the Lebanese Forces armed militia. 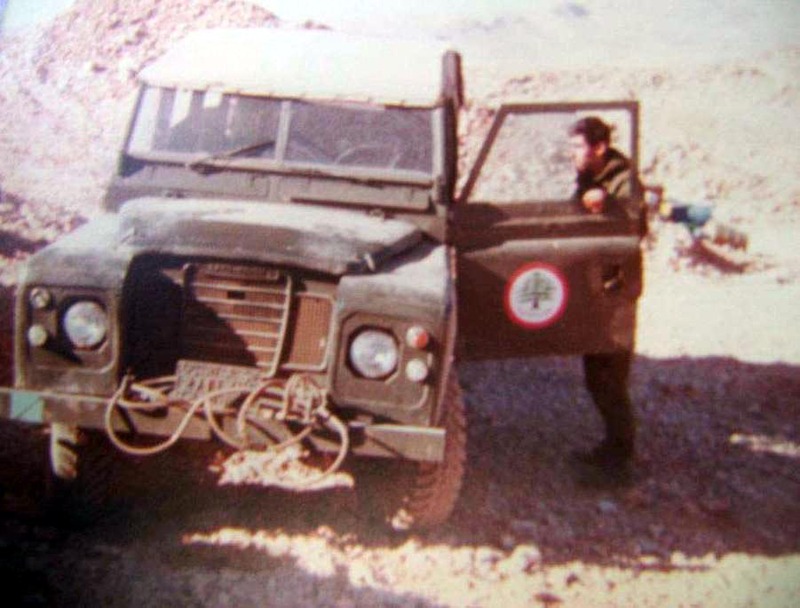 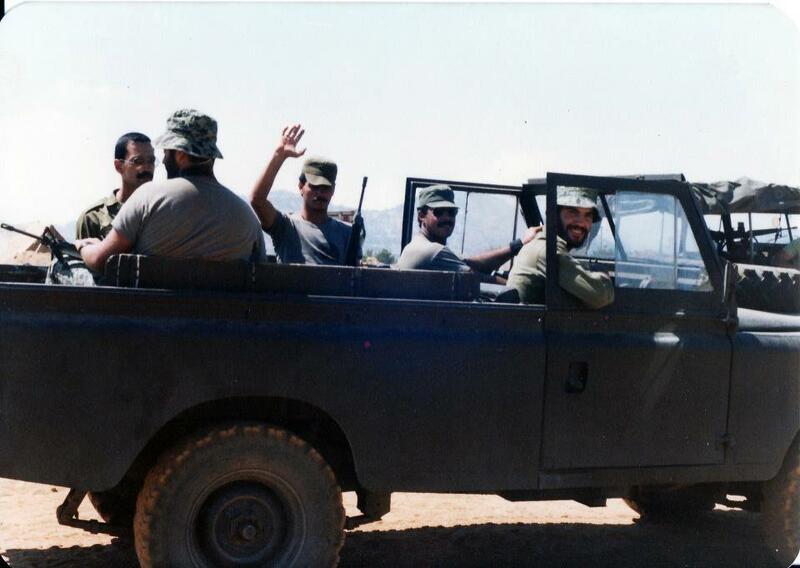 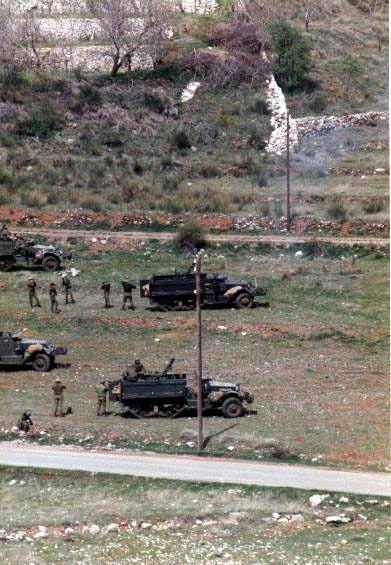 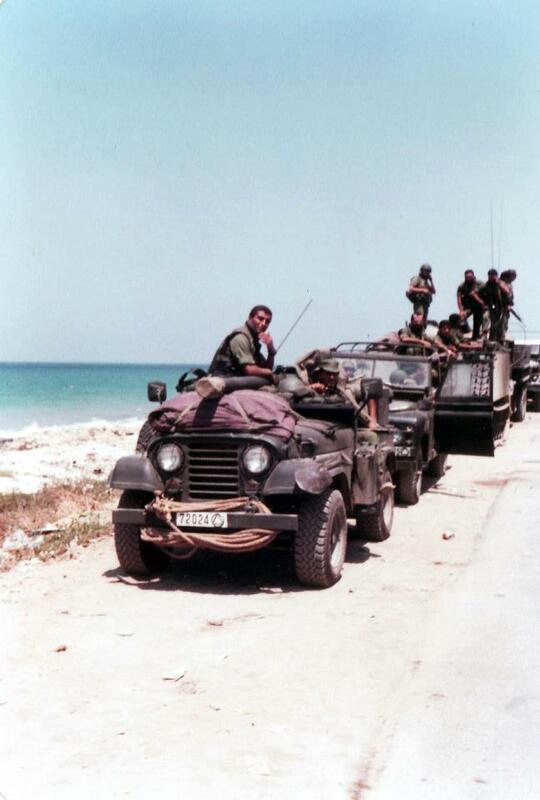 A Land Rover Series III LWB of the Lebanese Forces armed militia. 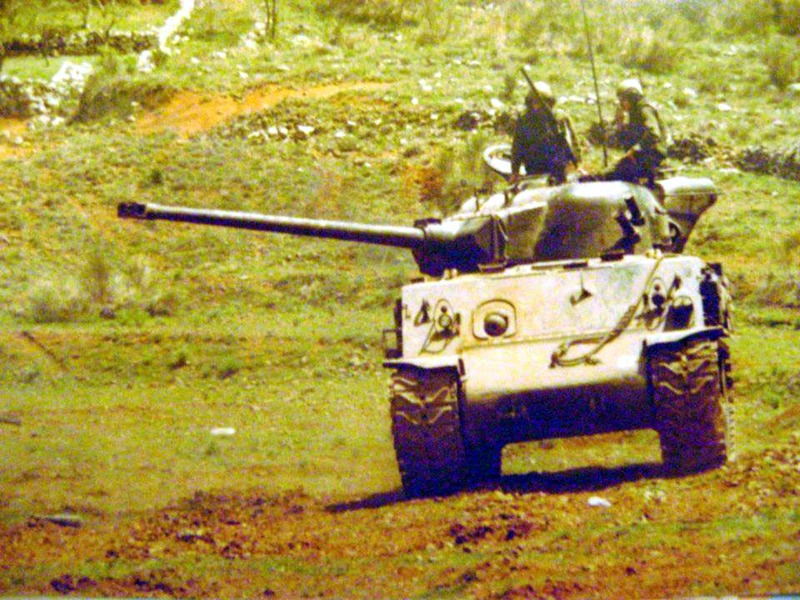 An M151A2 of the Lebanese Forces armed militia. 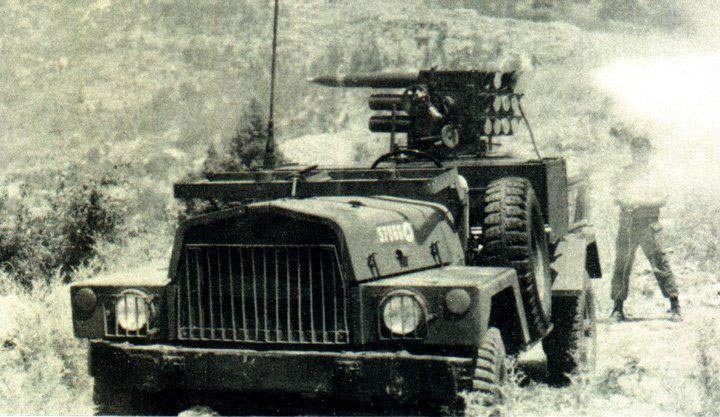 An M325 patrol w/Type 63 MRL of the Lebanese Forces armed militia. 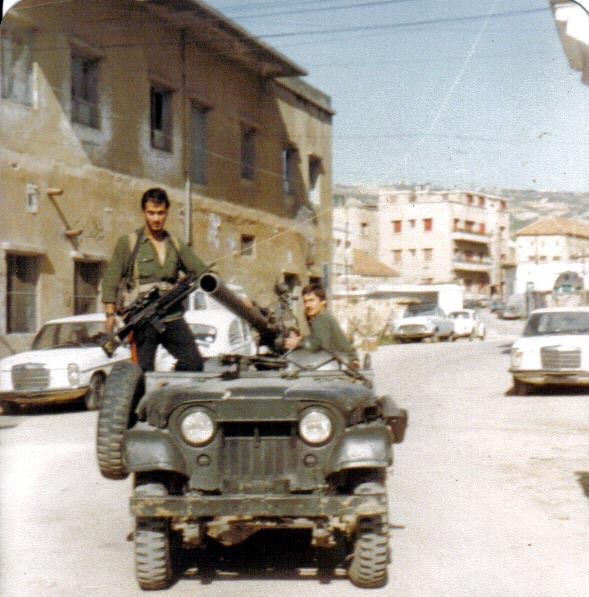 An M325 Patrol w/ZPU-2 of the Lebanese Forces armed militia. 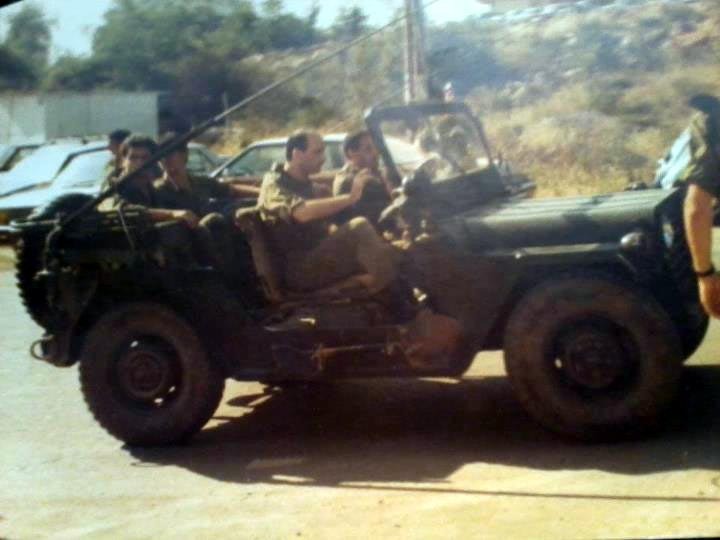 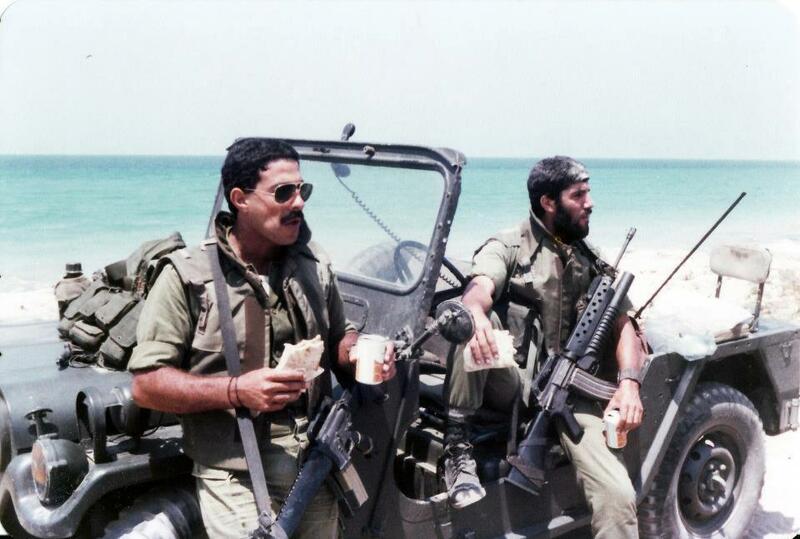 An Unimog 406 w/ZPU-4 of the Lebanese Forces armed militia. 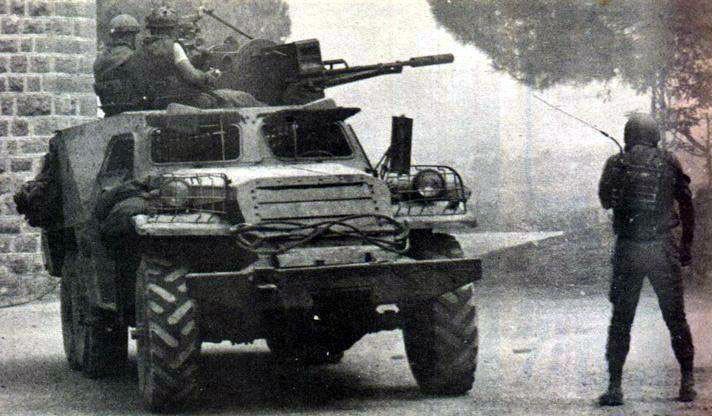 Faun L912/21-MUN trucks of the Lebanese Forces armed militia. 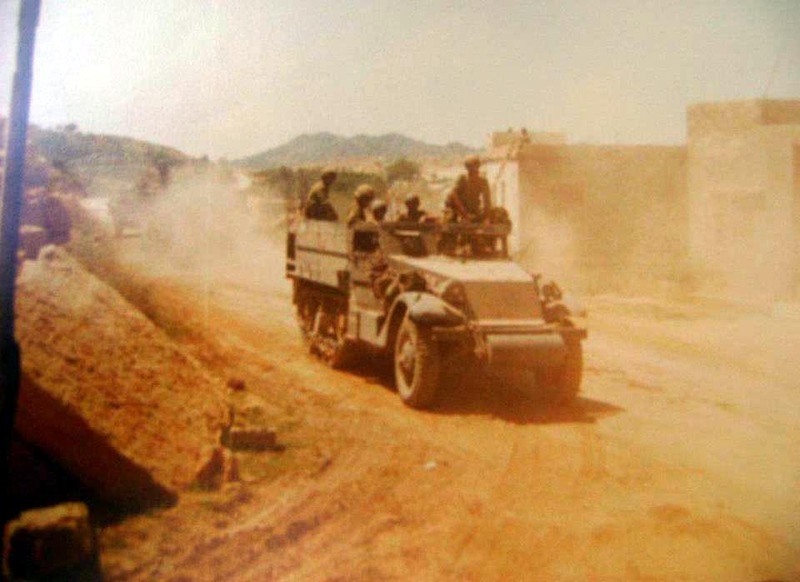 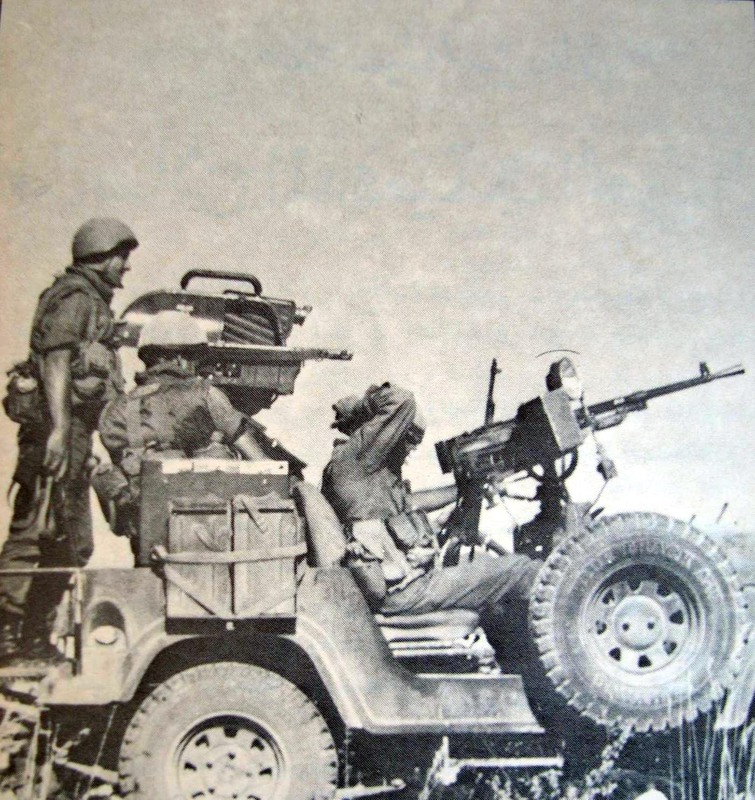 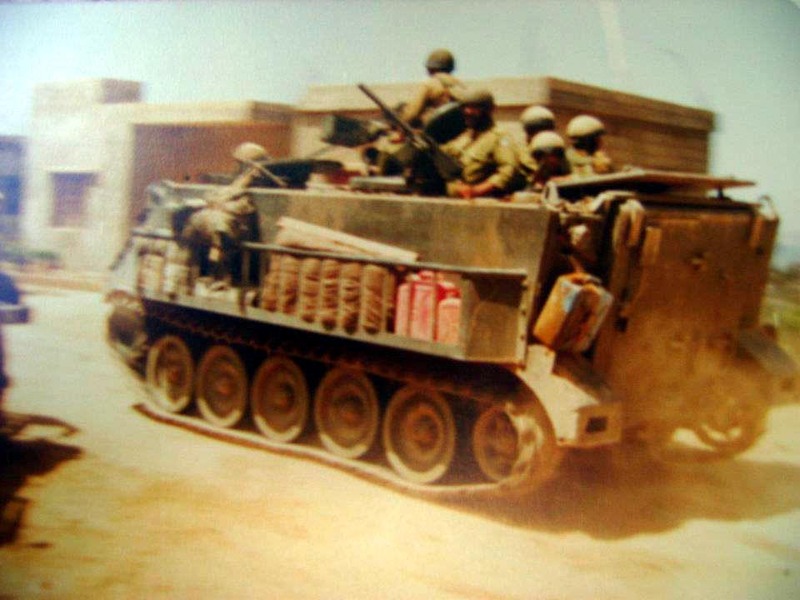 An M3 Half-track of the Lebanese Forces armed militia. 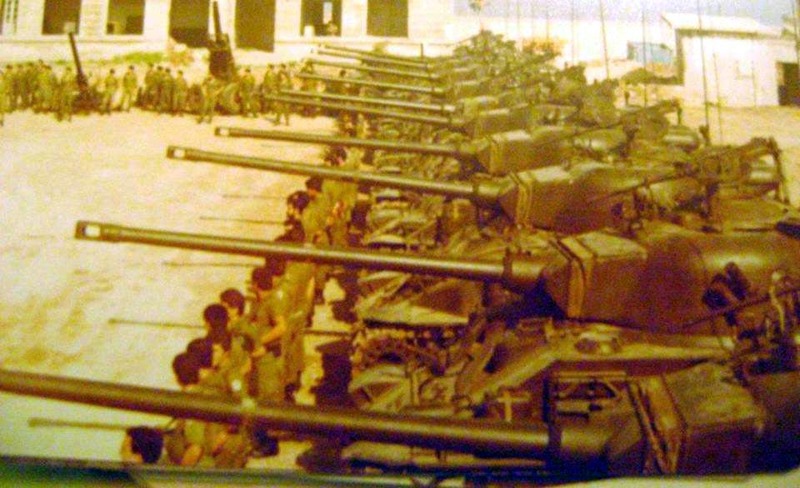 M5 120mm mortar Half-tracks of the Lebanese Forces armed militia. 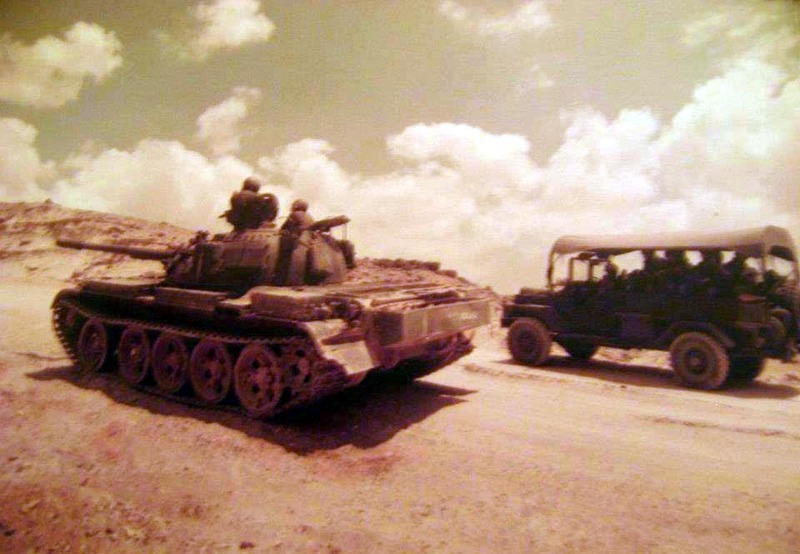 An M3 90mm DEFA Half-track of the Lebanese Forces armed militia. 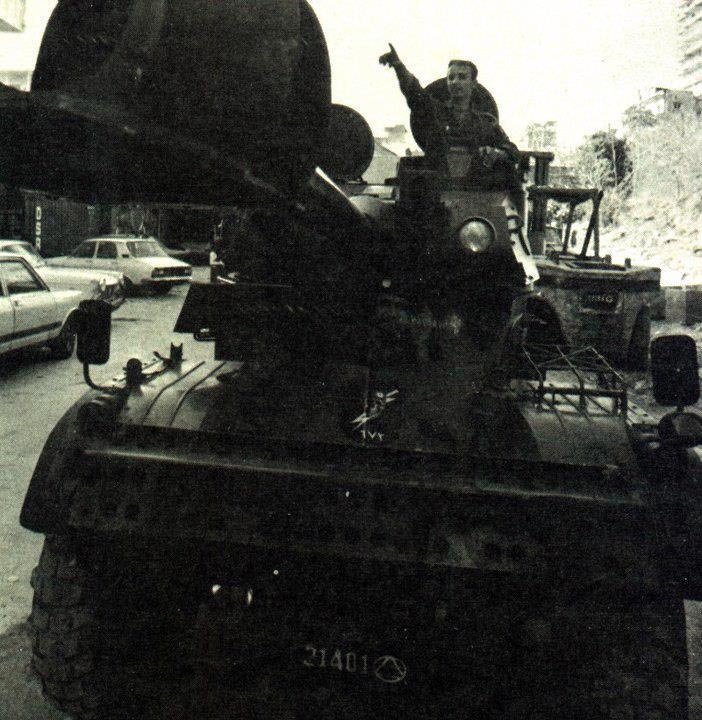 A BTR-152 w/ZU-23-2 of the Lebanese Forces armed militia. 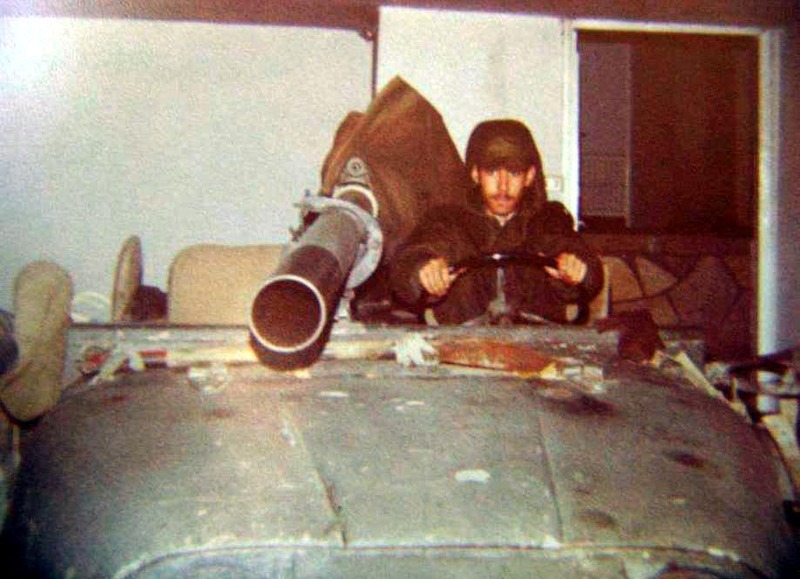 A BTR-152 recovery vehicle of the Lebanese Forces armed militia. 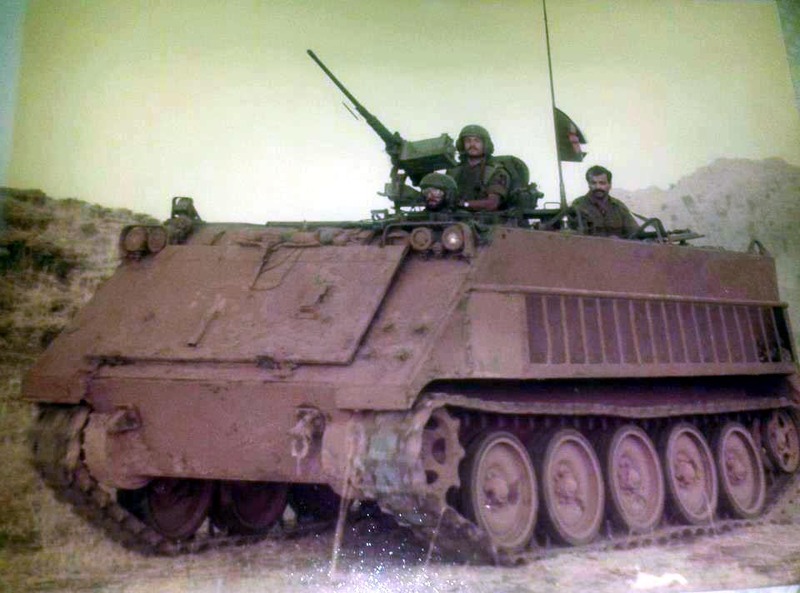 An M113A1 of the Lebanese Forces armed militia. 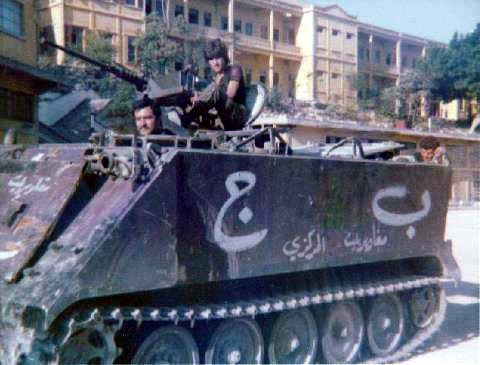 An M113 of the Lebanese Forces armed militia. 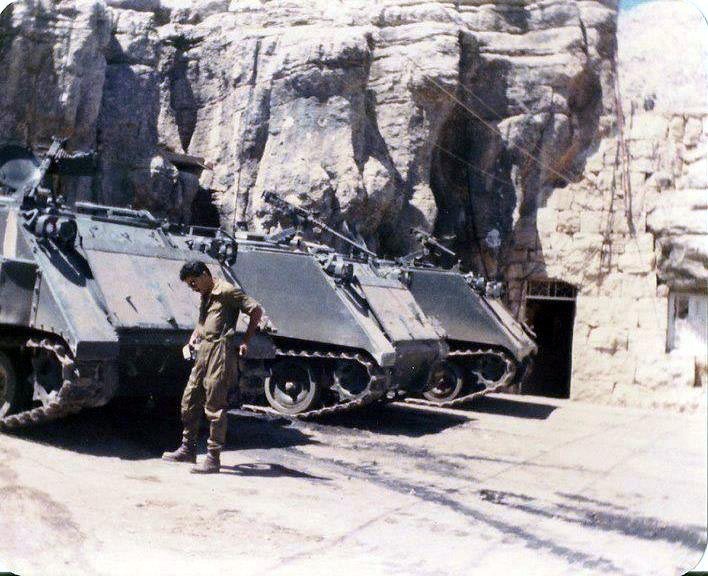 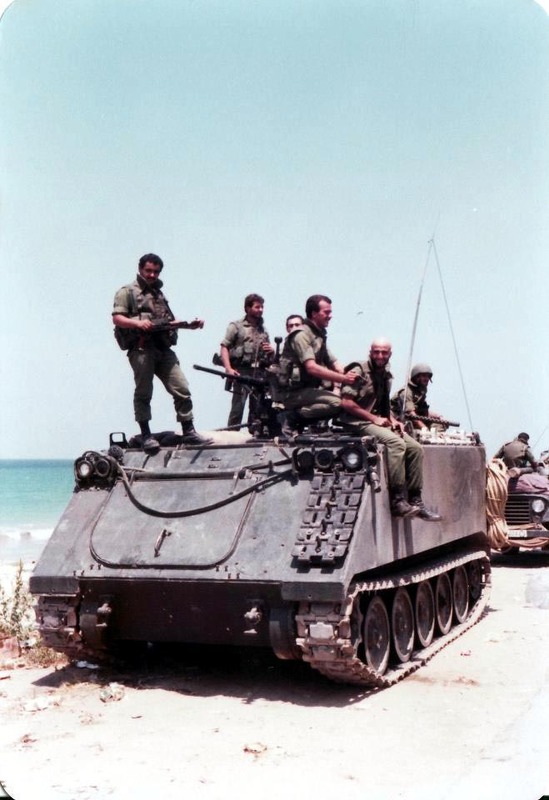 M113A1 APCs of the Lebanese Forces armed militia. 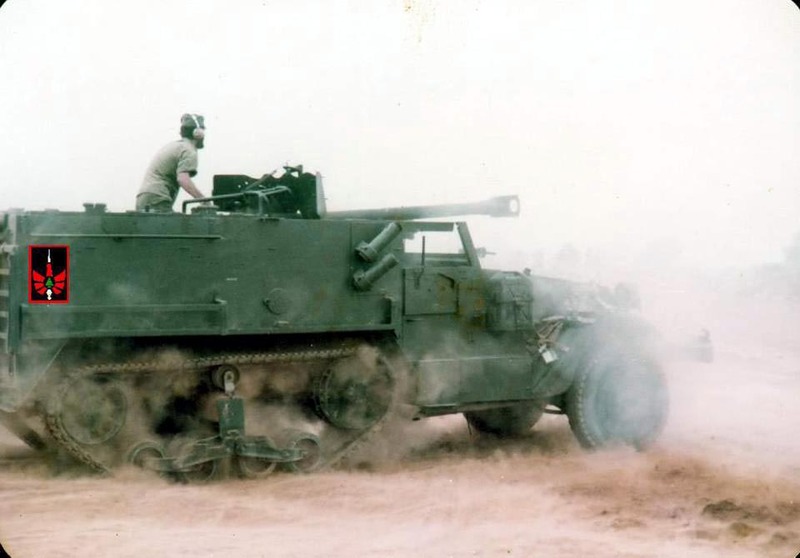 An M113A1 w/M40 106mm recoilless rifle of the Lebanese Forces armed militia. 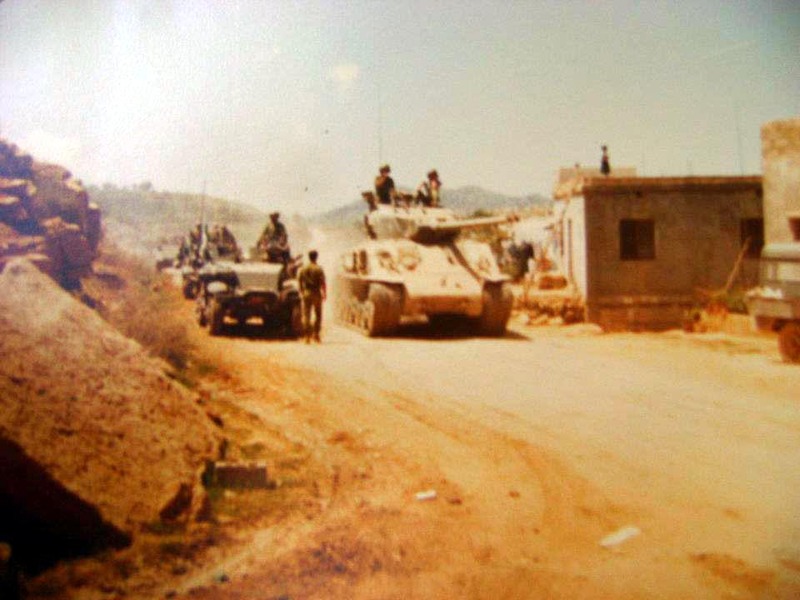 An M113A1 w/ZU-23-2 of the Lebanese Forces armed militia. 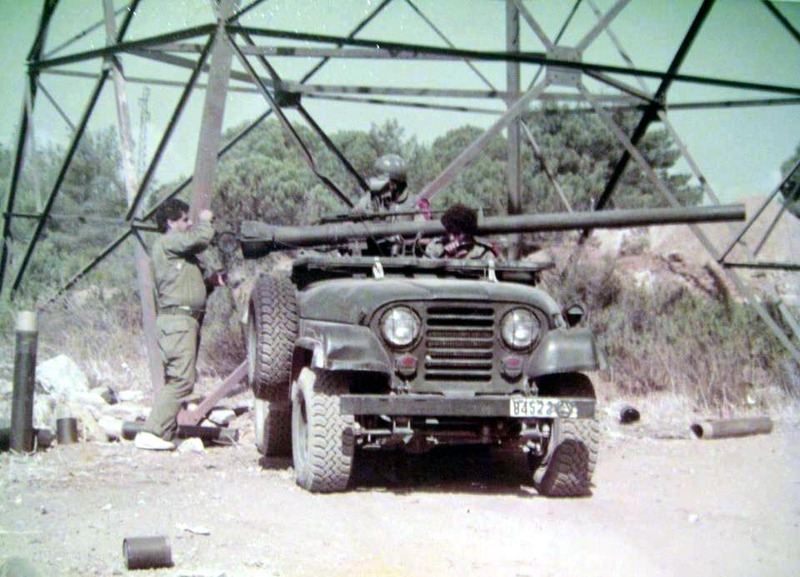 An M113A1 w/MILAN ATGM of the Lebanese Forces armed militia. 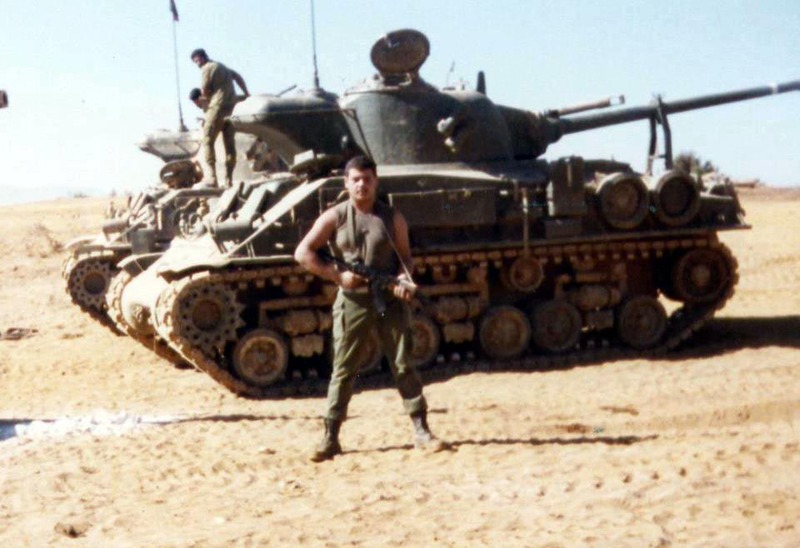 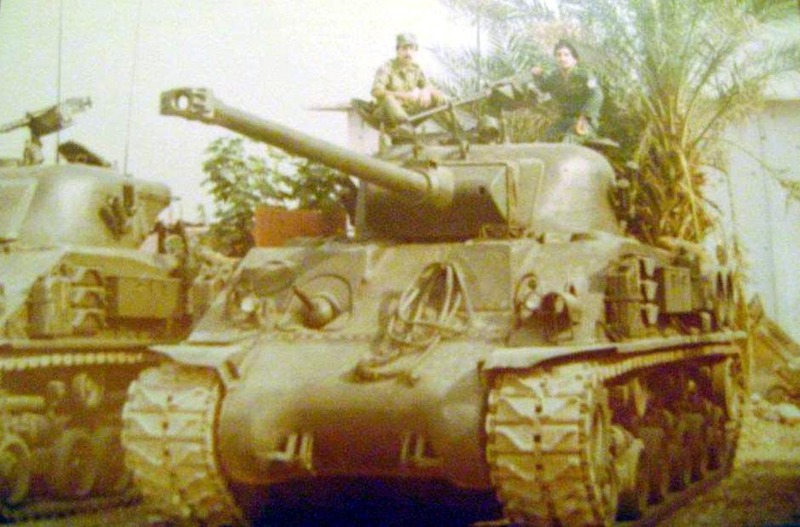 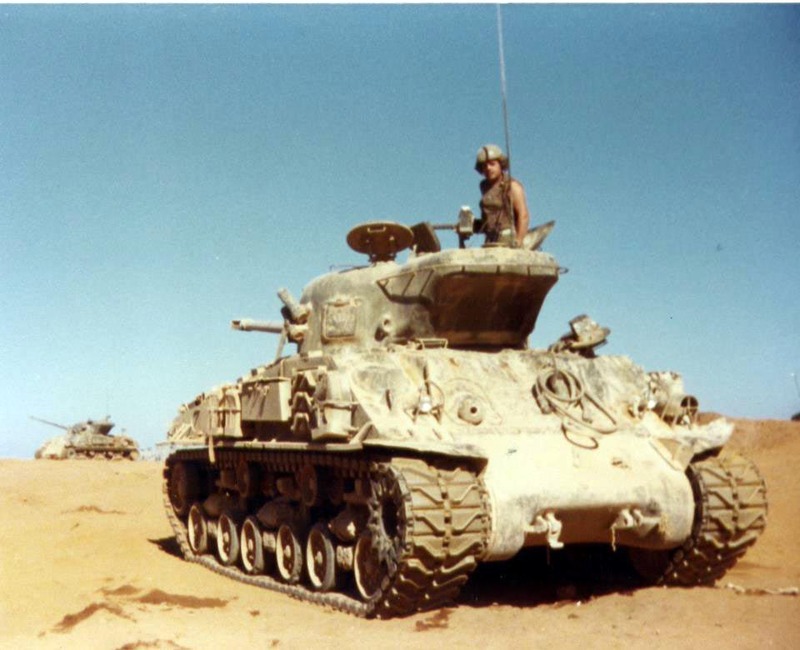 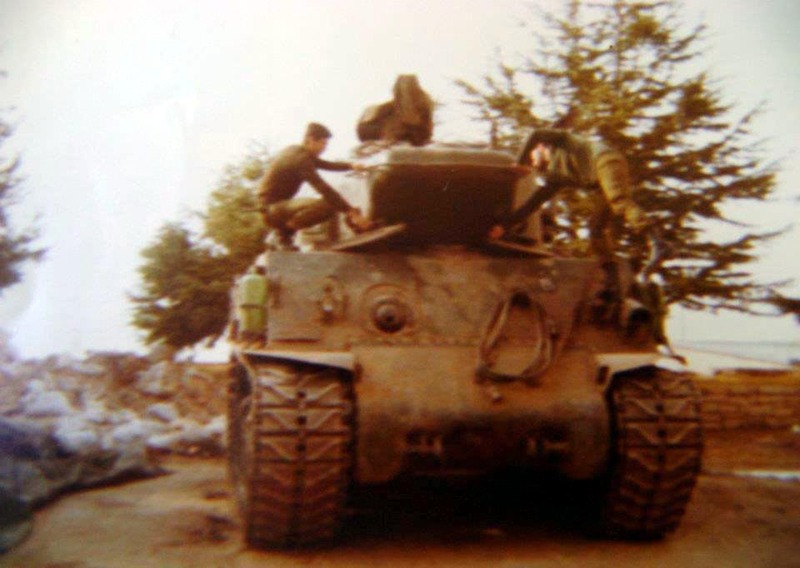 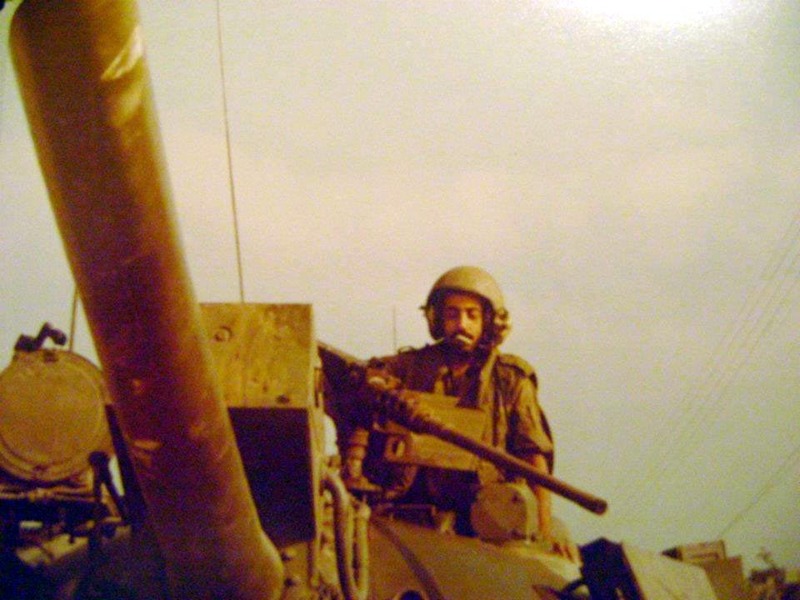 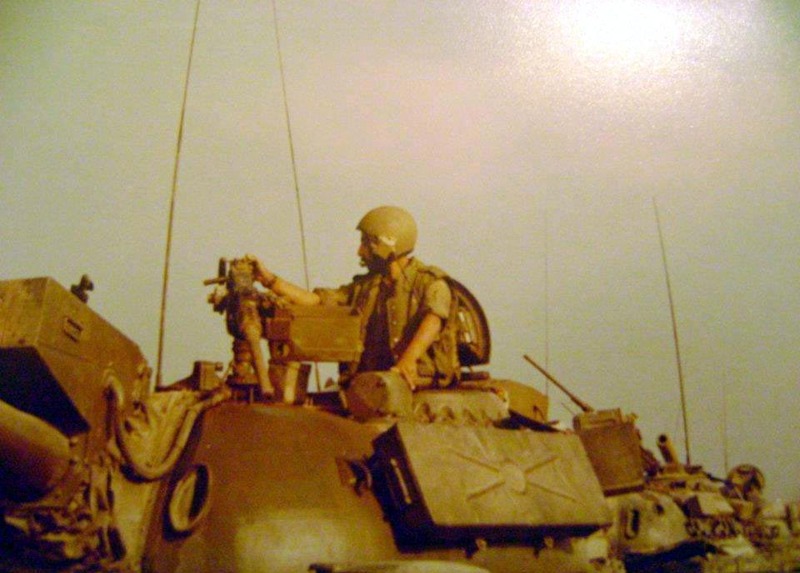 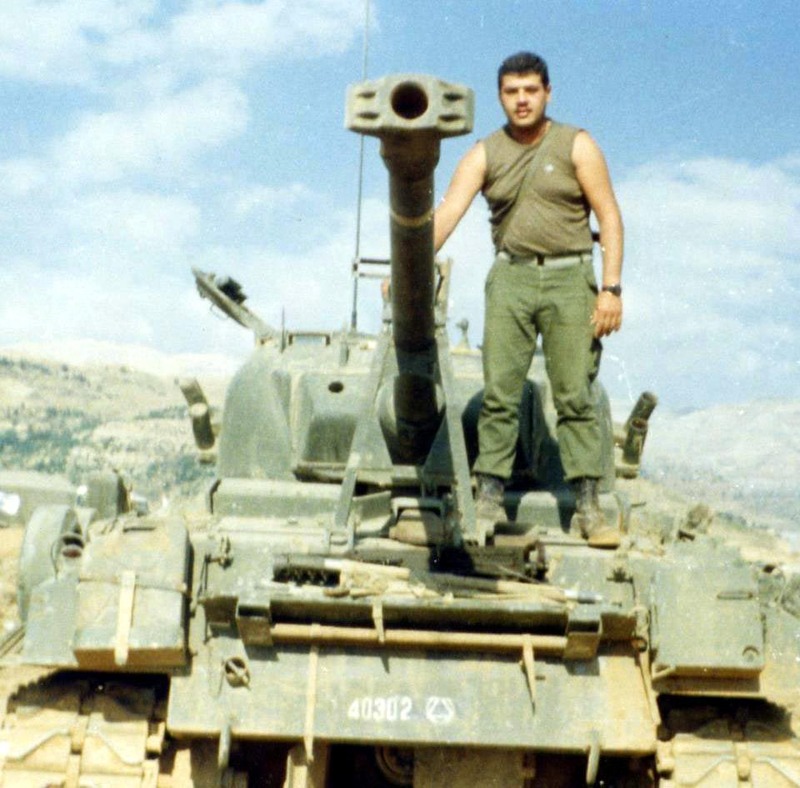 A Sherman M50 of the Lebanese Forces armed militia. 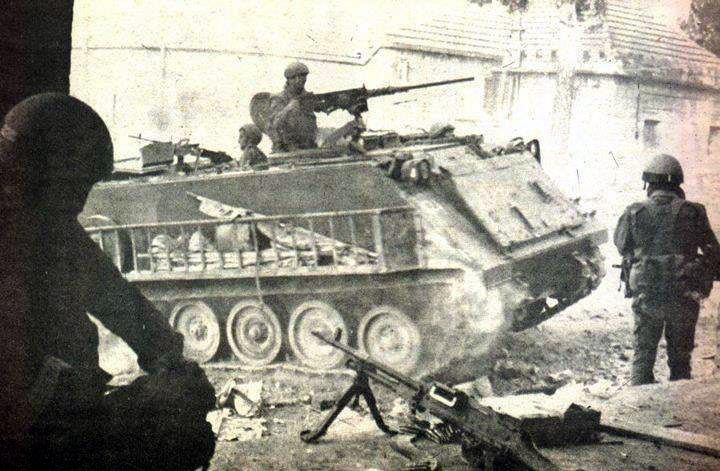 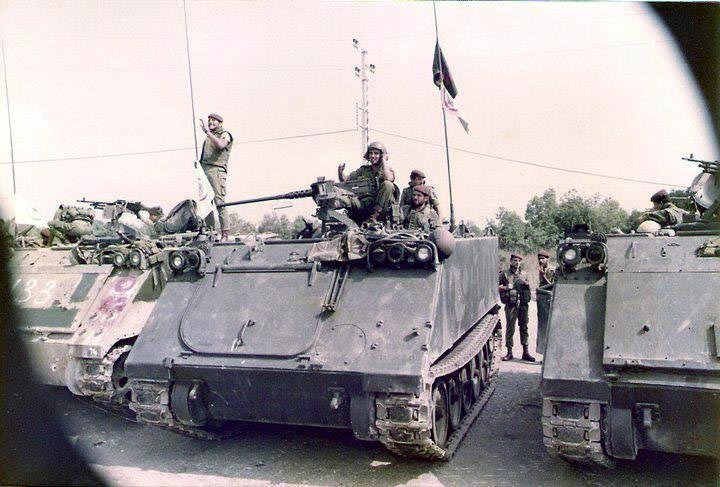 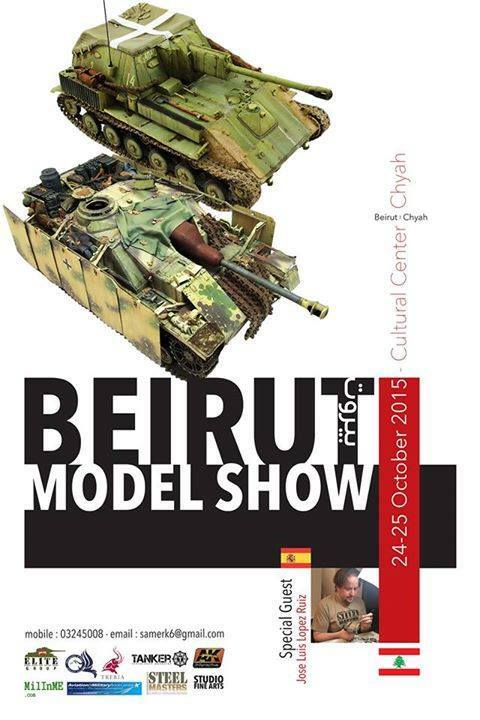 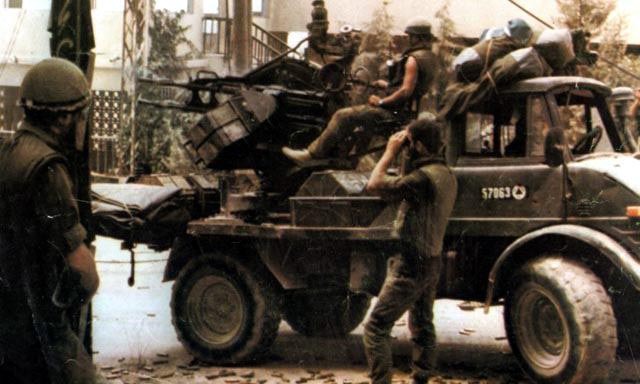 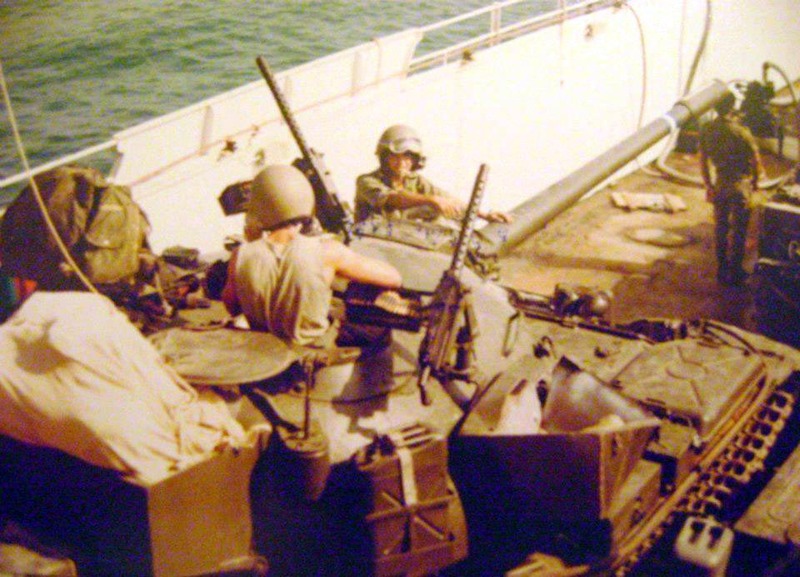 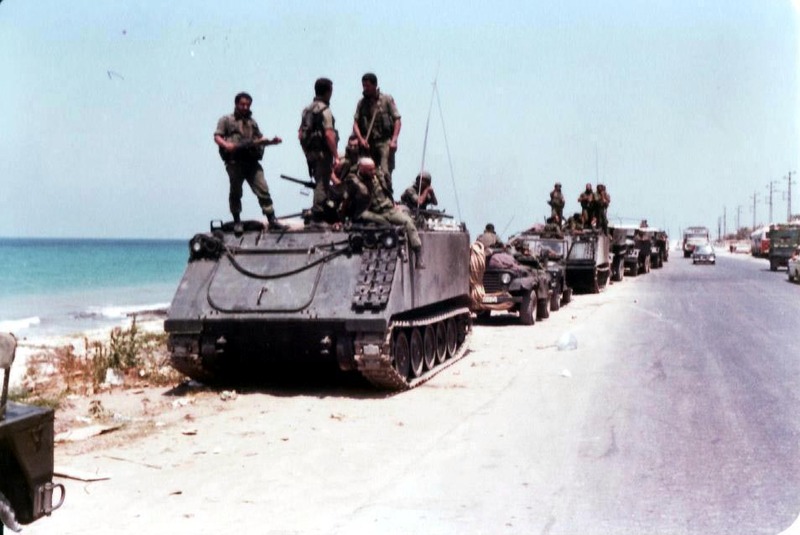 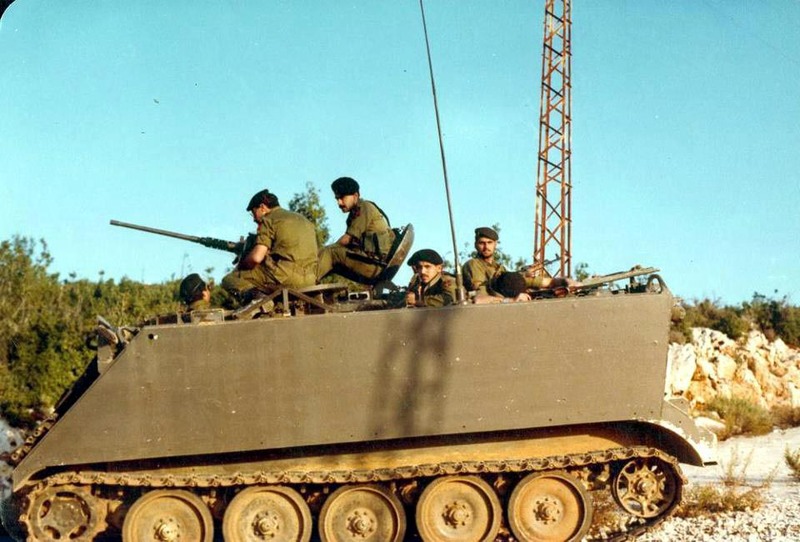 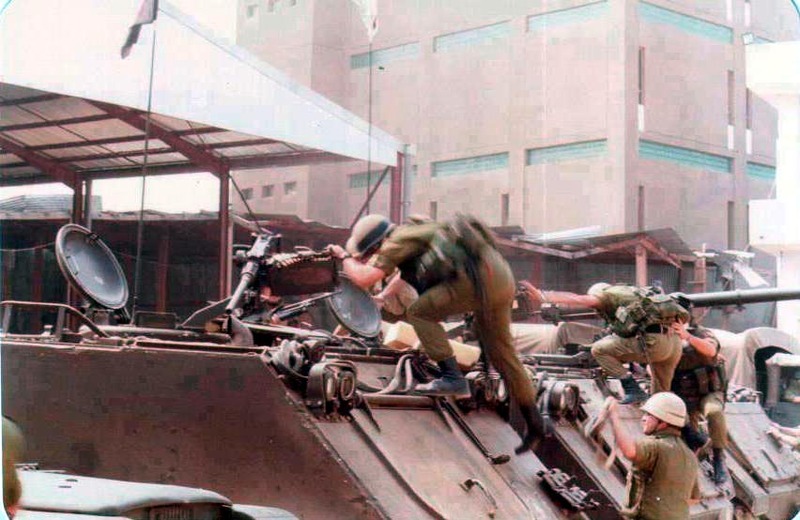 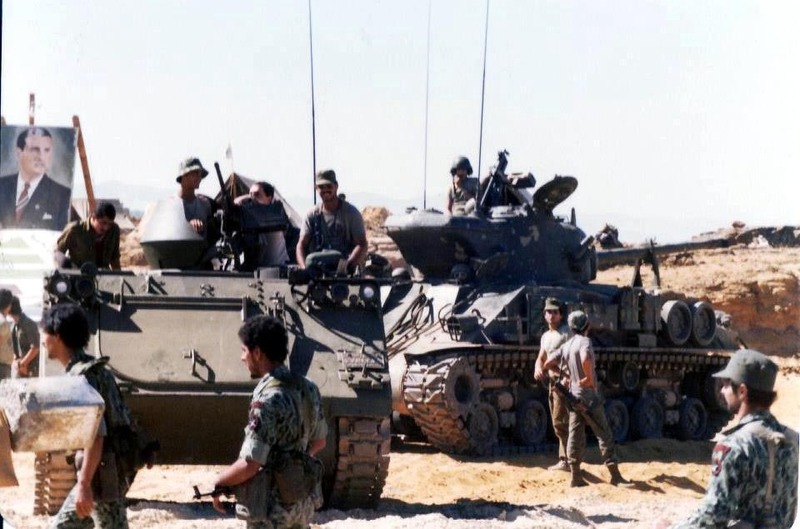 A Sherman M50 and an M113 APC of the Lebanese Forces armed militia. 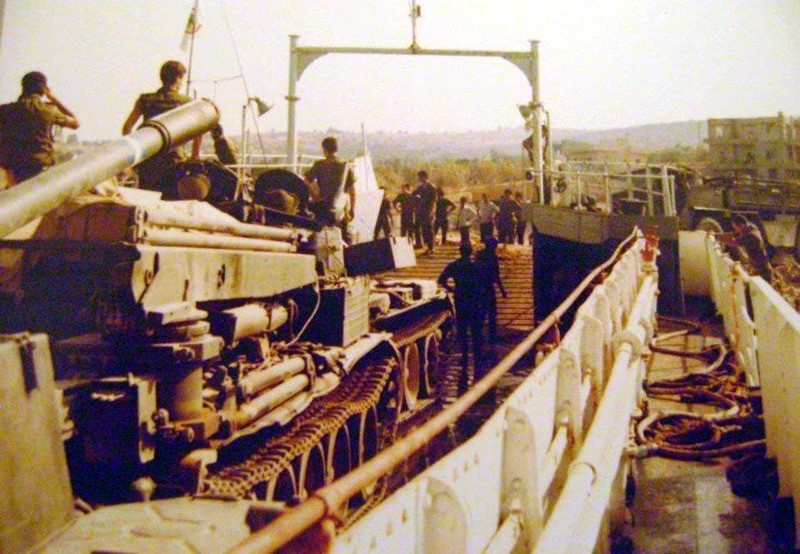 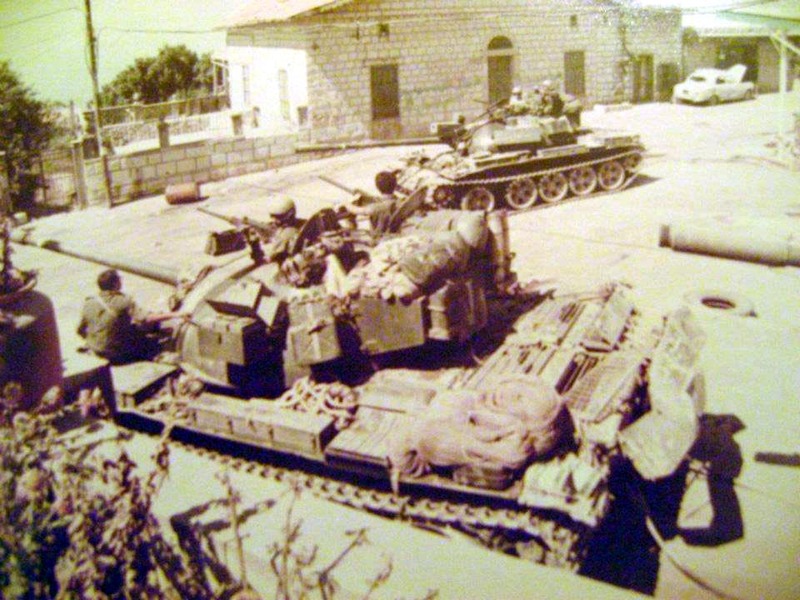 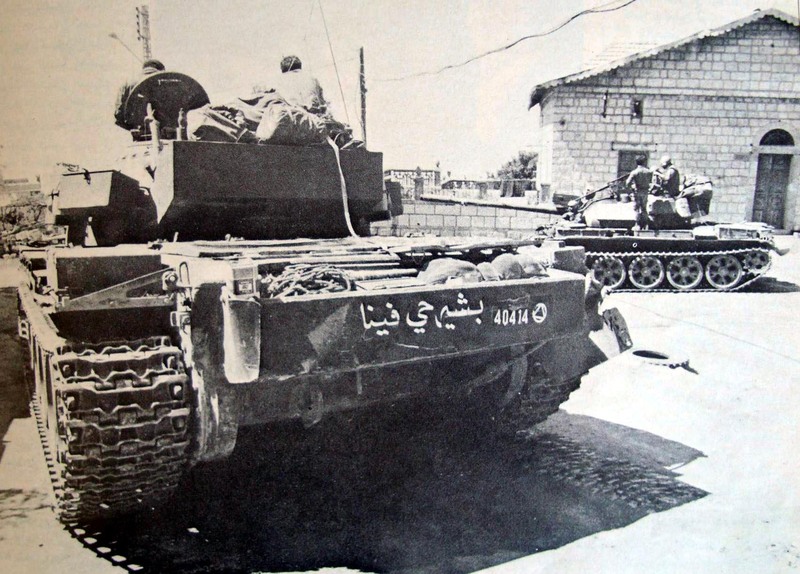 Sherman M50 tanks of the Lebanese Forces armed militia. 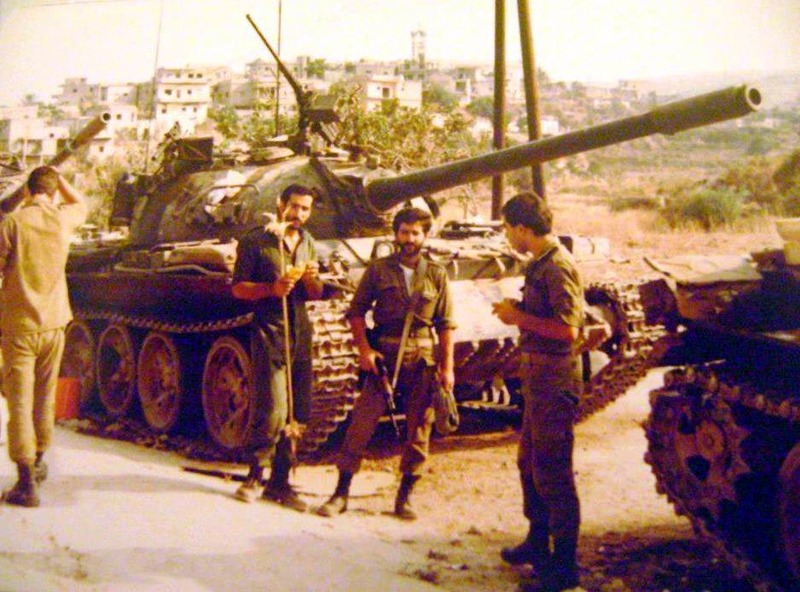 A AML-90 of the Lebanese Forces armed militia. 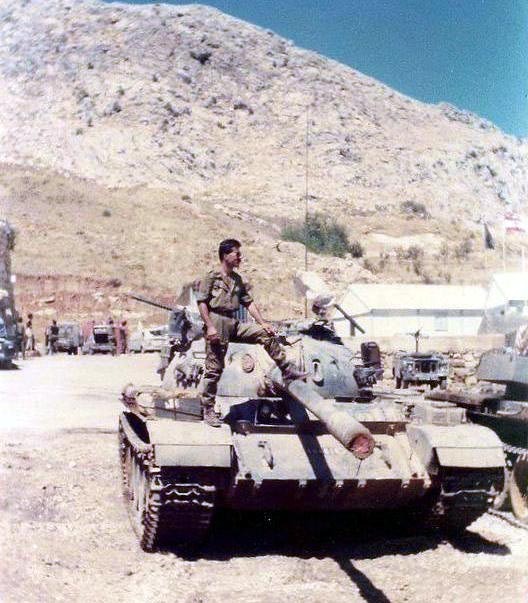 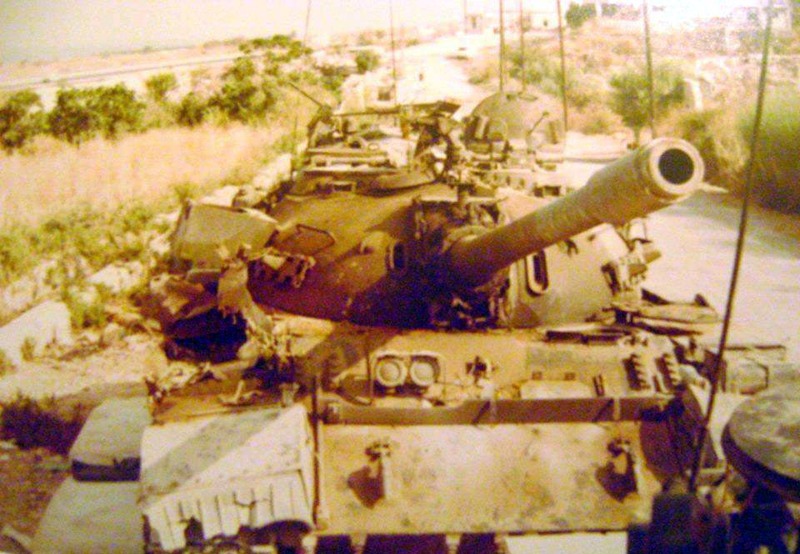 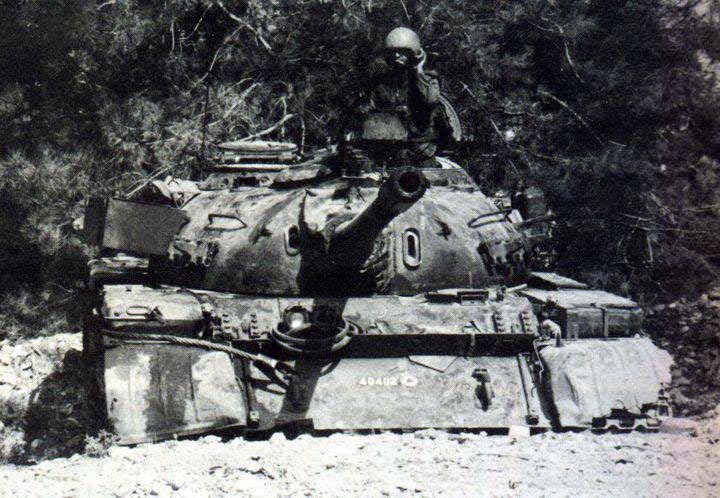 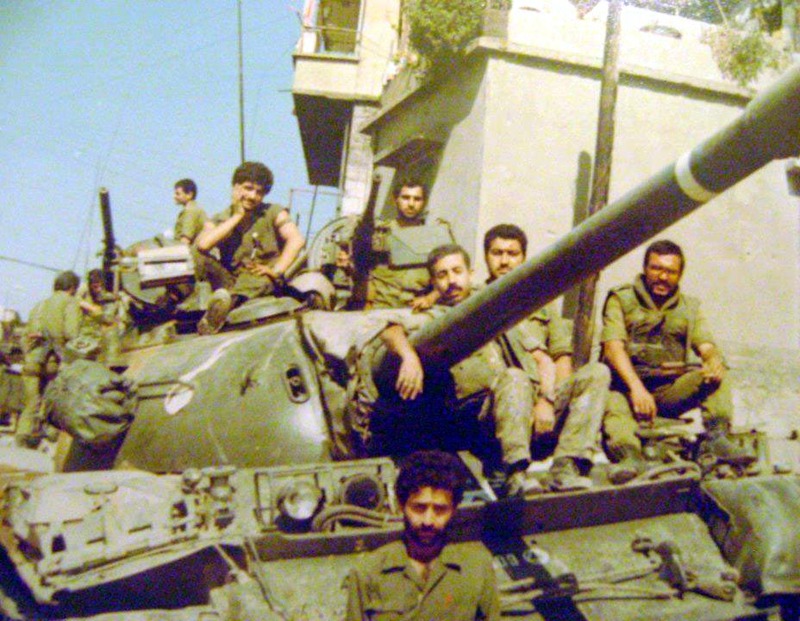 A T-54-3 of the Lebanese Forces armed militia. 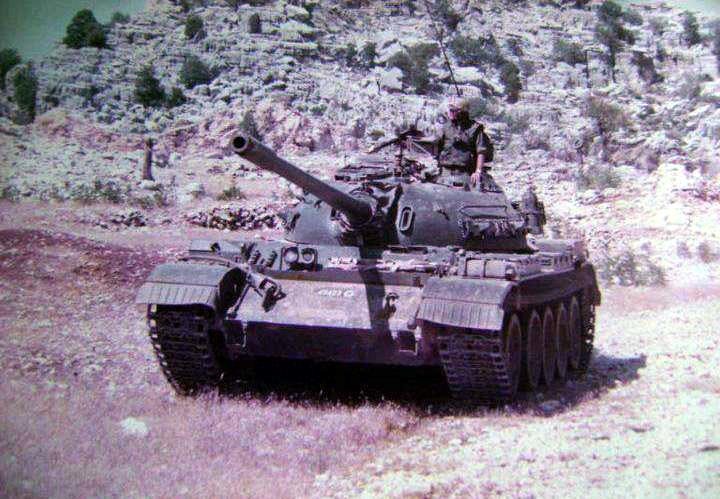 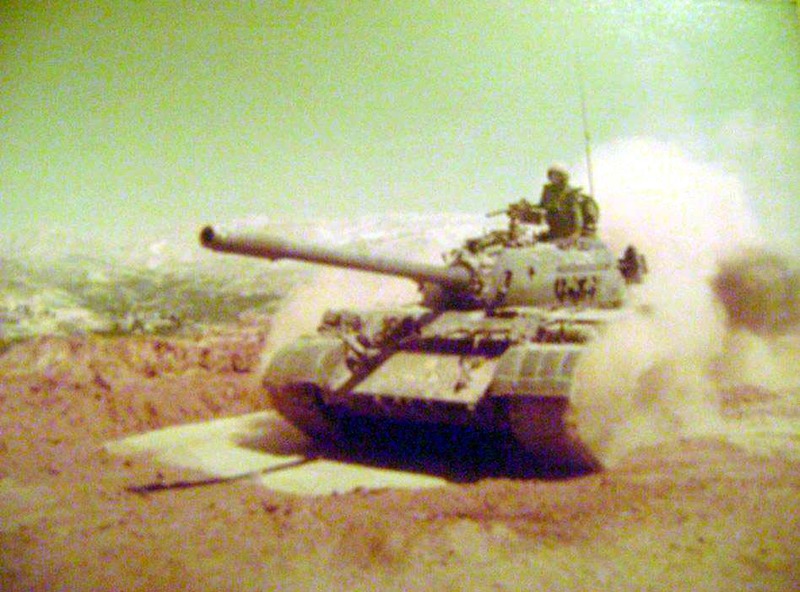 A T-54A of the Lebanese Forces armed militia. 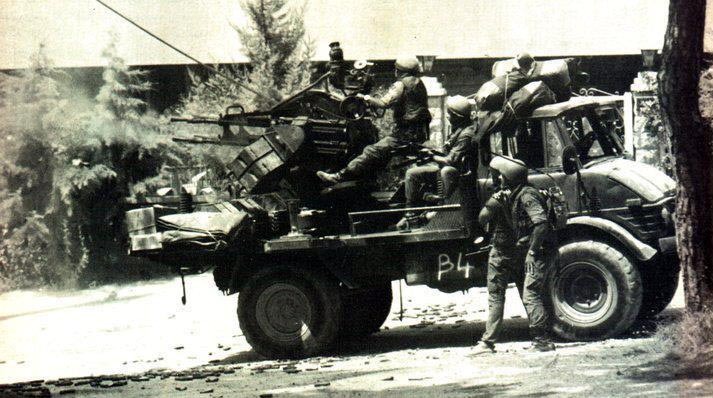 What appears to be a Tiran-54 of the Lebanese Forces armed militia. 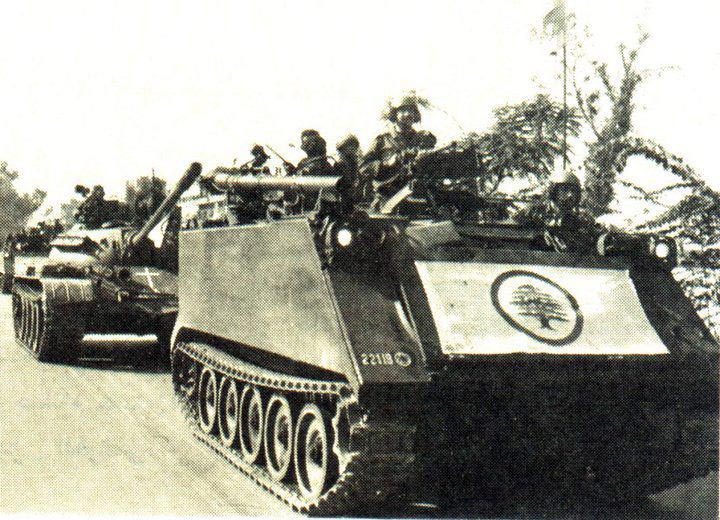 A Tiran-54 of the Lebanese Forces armed militia. 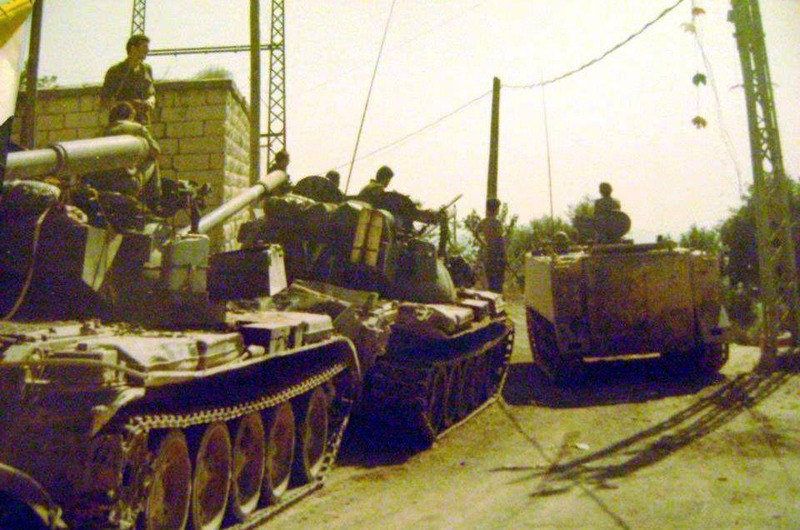 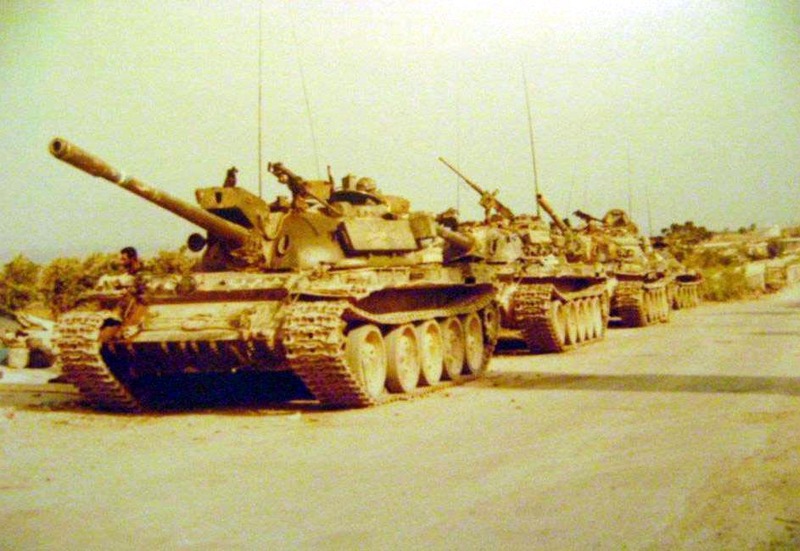 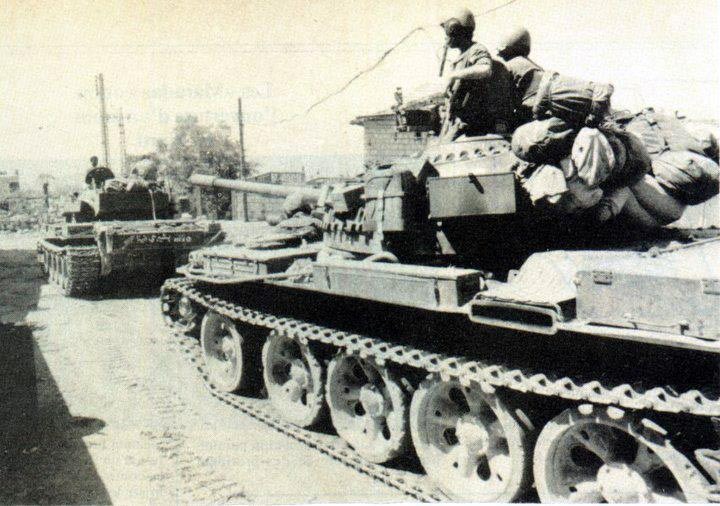 Tiran-54 and T-54 tanksof the Lebanese Forces armed militia. 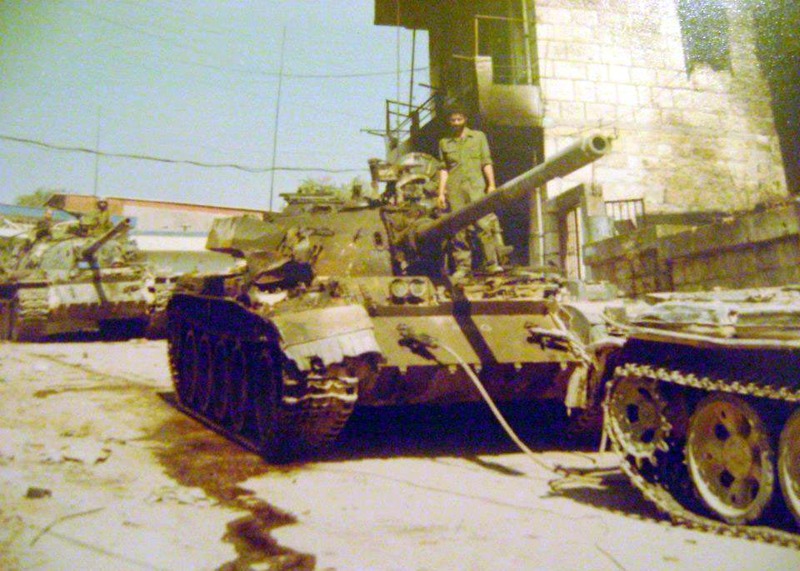 A Tiran-54 and a T-54A of the Lebanese Forces armed militia. 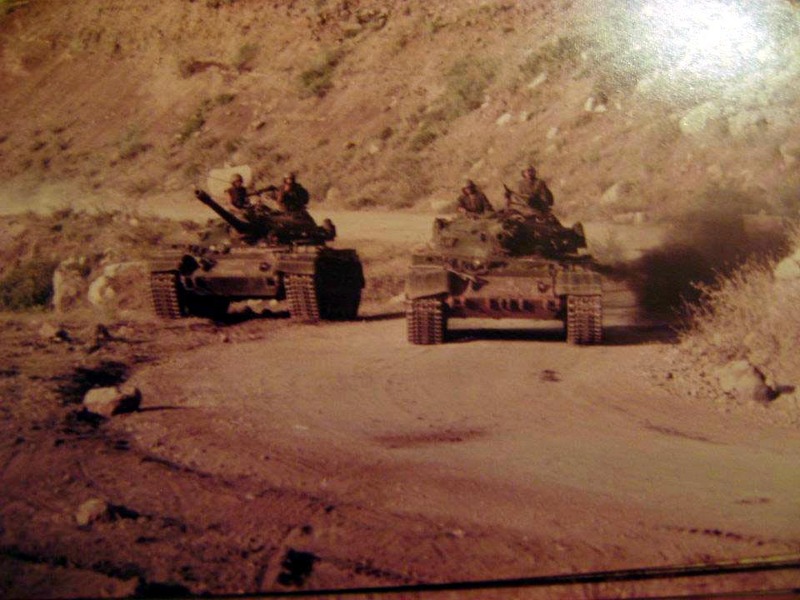 Tiran-54 and T-55 tanks of the Lebanese Forces armed militia. 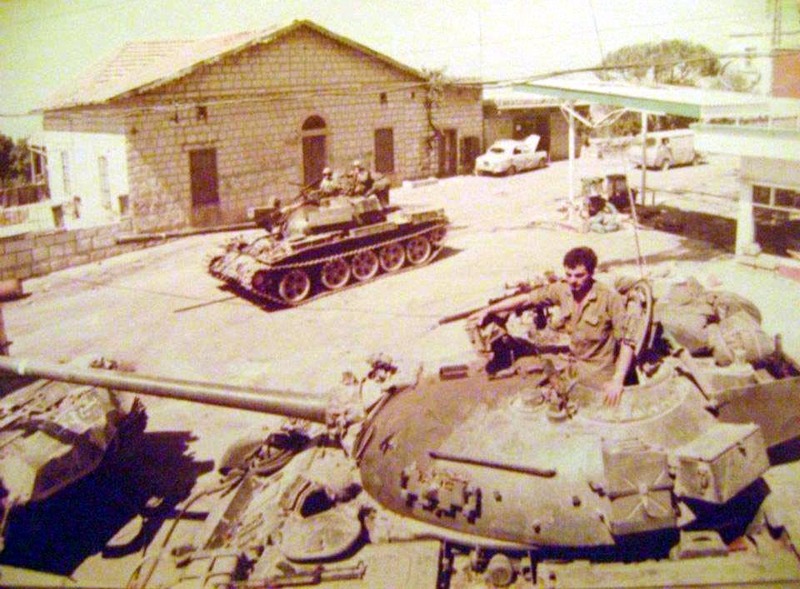 T-54 and T-55 tanks of the Lebanese Forces armed militia. 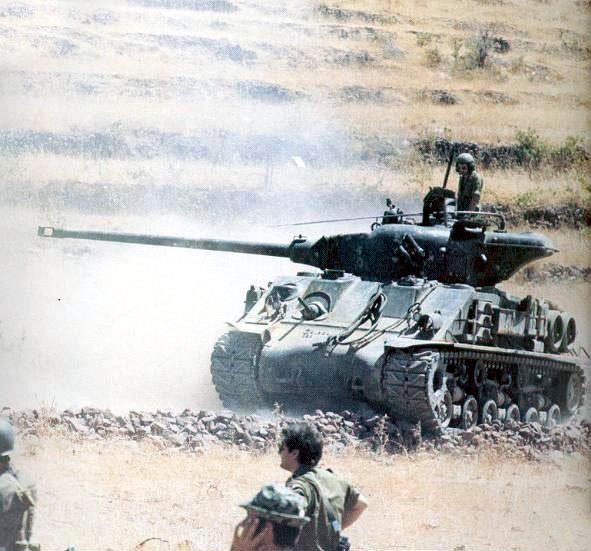 A T-55 tank of the Lebanese Forces armed militia. 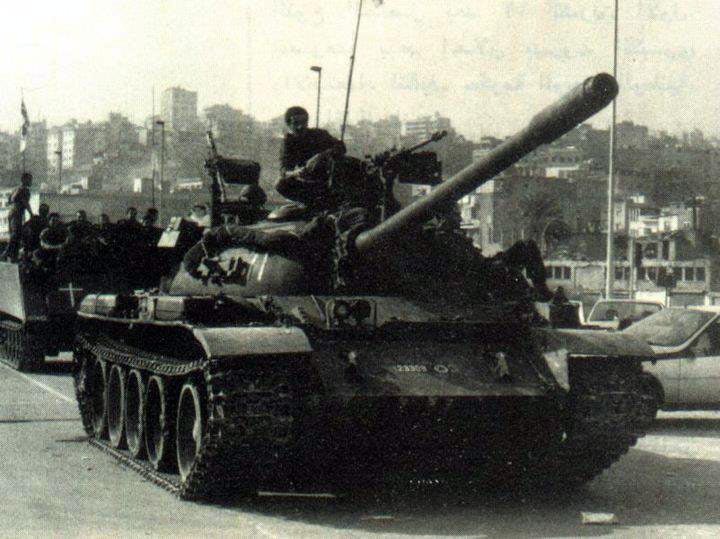 A VT-55A tank of the Lebanese Forces armed militia. 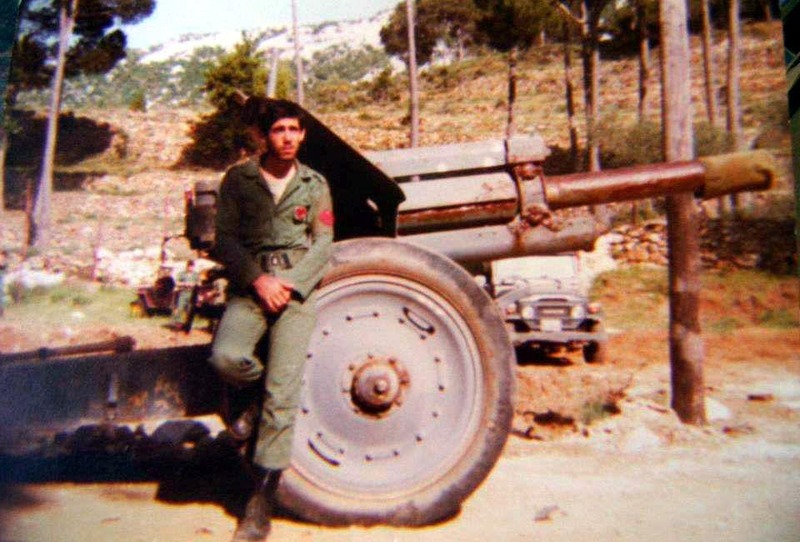 A 130mm M-46 gun of the Lebanese Forces armed militia. 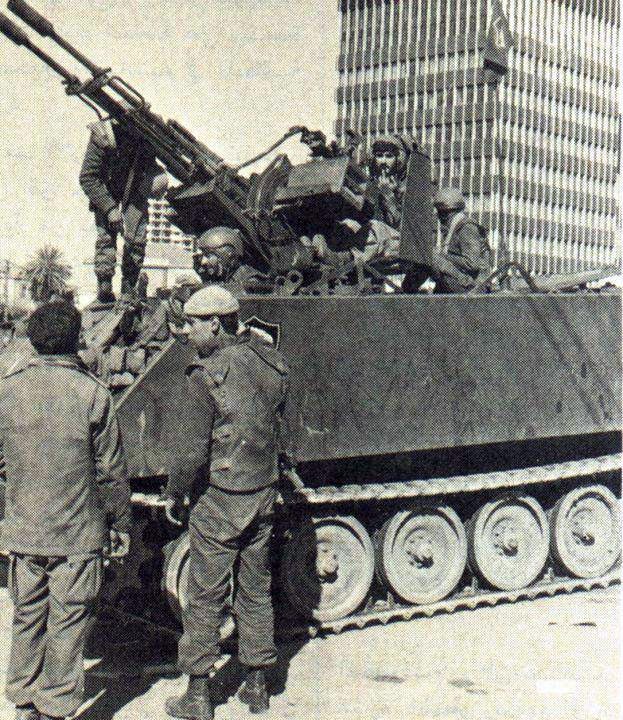 A 122mm M-30 howitzer of the Lebanese Forces armed militia. 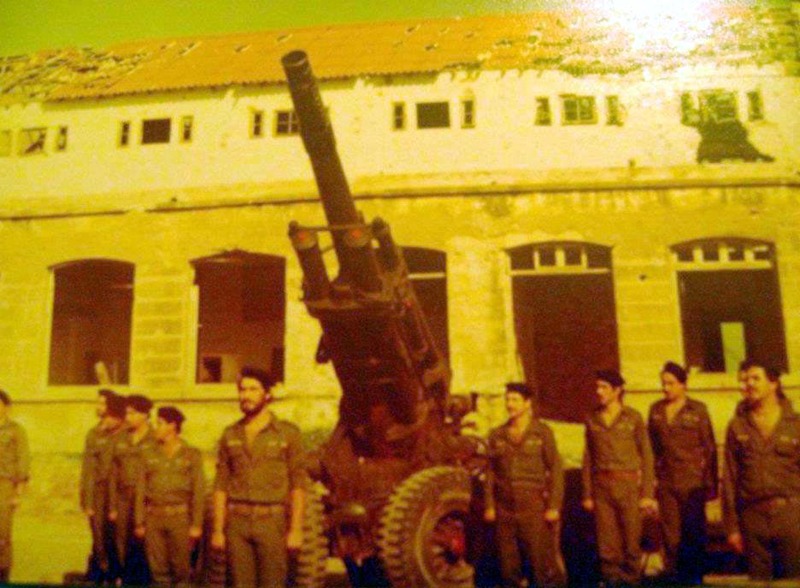 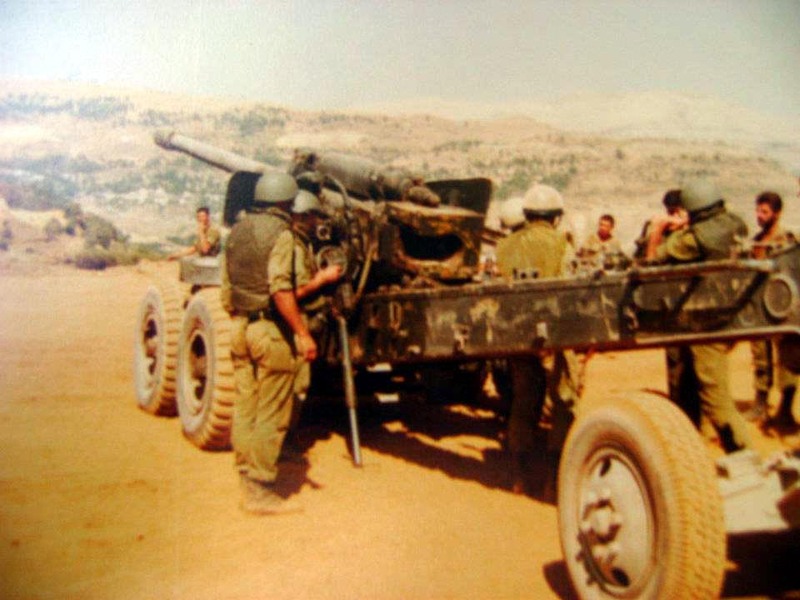 A 155mm Modele 50 howitzer of the Lebanese Forces armed militia. 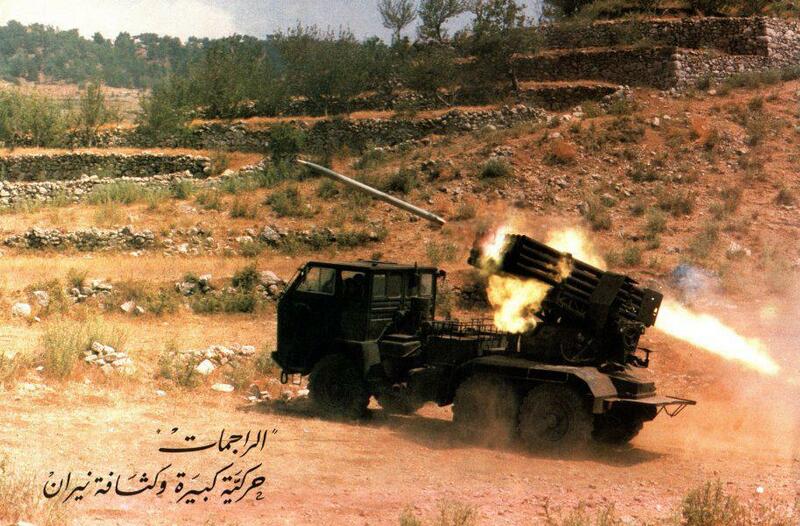 An APRA-40 MRLS of the Lebanese Forces armed militia. 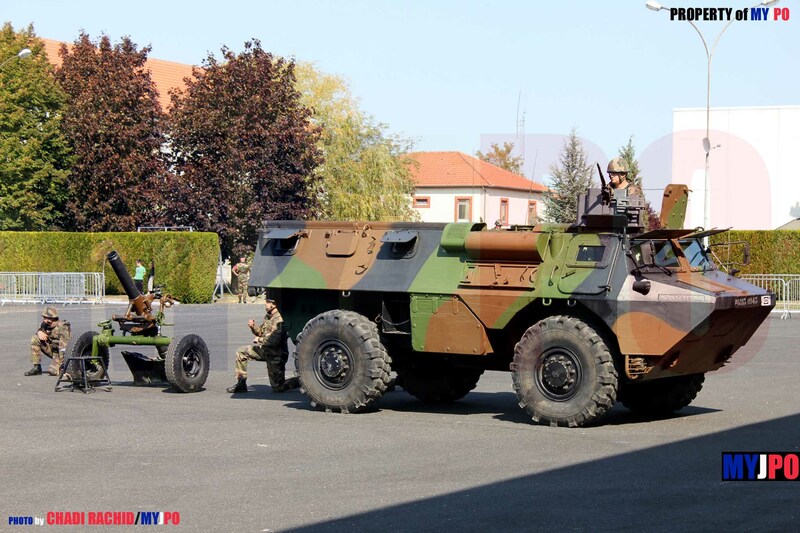 The LF Faun in the photos is actually a Czech-made Tatra 813 (KOLOS). 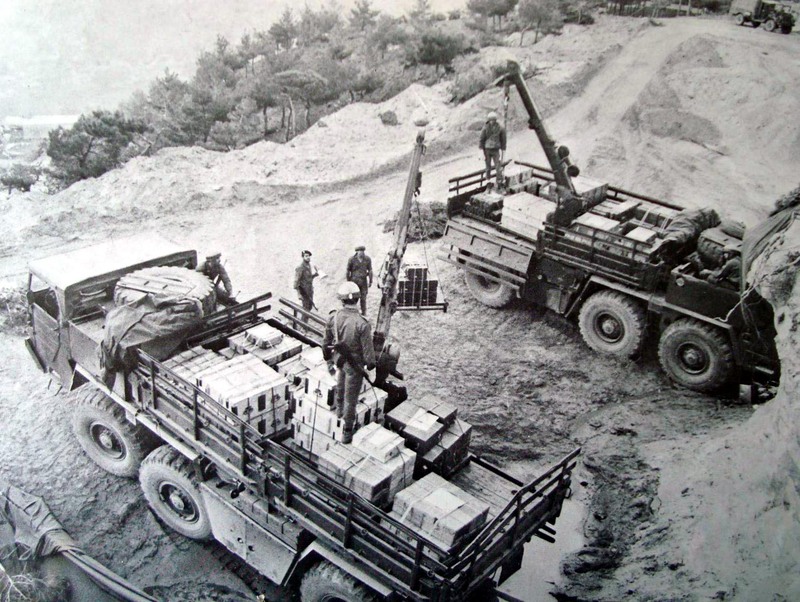 Note the Chinese 6-wheel configuration. 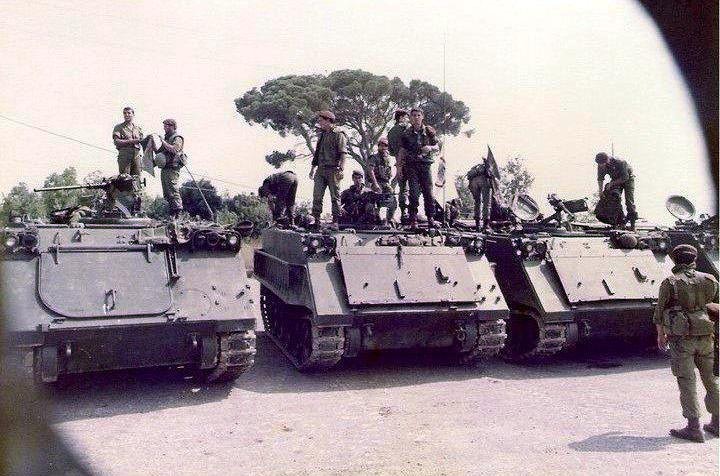 It seems you are right, these are indeed Faun Z912’s. 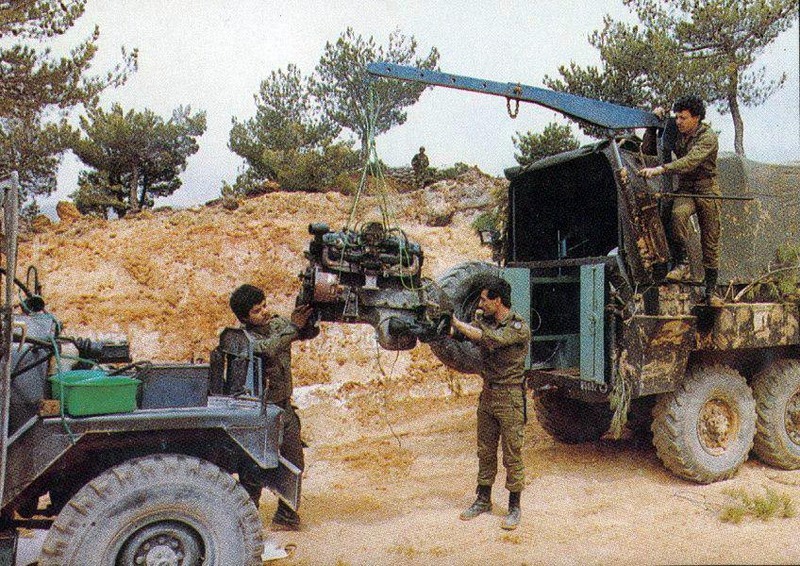 Can you please indicate the origin of this equipment? 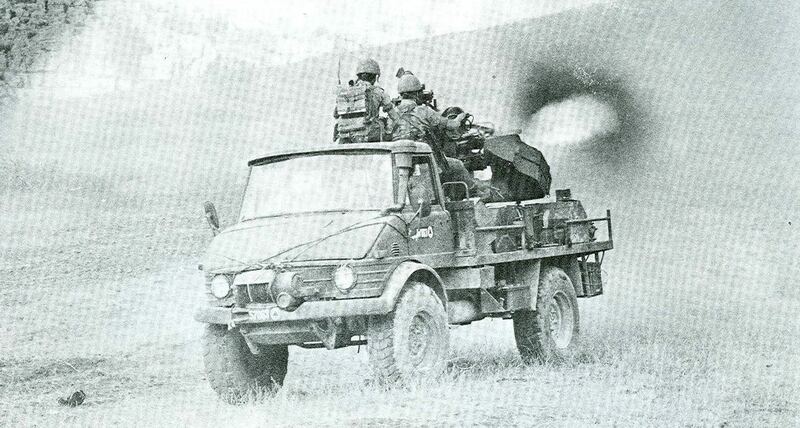 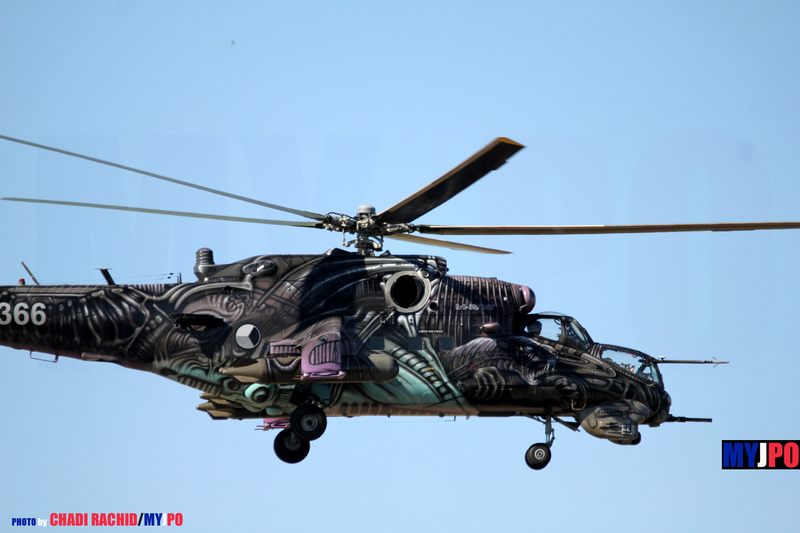 Ex-Bundeswehr maybe?